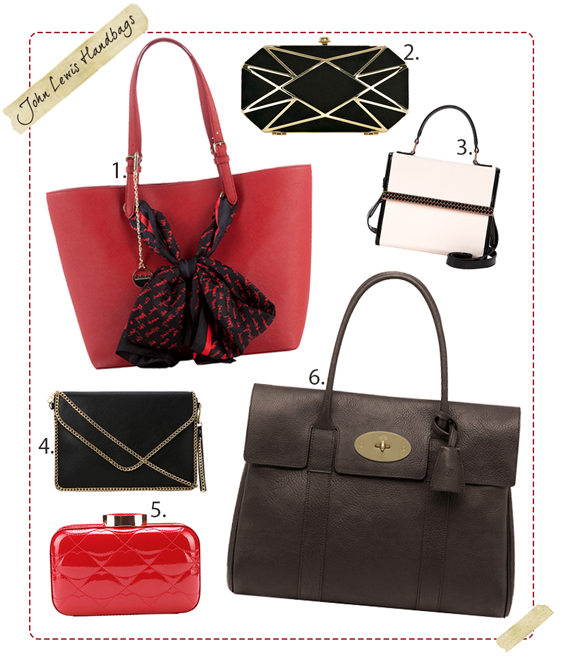 John Lewis Handbags wishlist of my 6 favourite handbags in their store. John Lewis always have a massive selection of high qualityhandbags and my favourite is #6 Mulberry Bayswater Grab Handbag , Chocolate, its such a gorgeous bag! I also love number 2 and think it might be the clutch I’ll get for New Years Eve. Which is your favourite? Let me know.